GridSIM is a three-phase programmable ac source well suited to operate as tester for European and US emission and immunity limits, e.g. EN 61000-3-2, EN 61000-3-4, EN 61000-3-12, EN 61000-2-2, EN 61000-2-4 and IEEE 519. 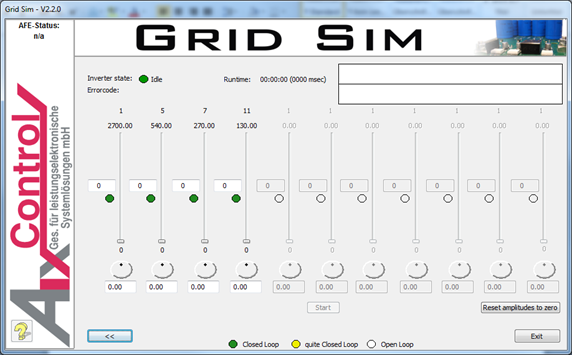 In the lab, interactive operation mode allows online tuning of amplitude and phase angle of the fundamental as well as ten harmonics. For automated testing, script operation mode is a powerful tool for defining fault sequences, e.g. low voltage ride through (LVRT), or other transient effects.